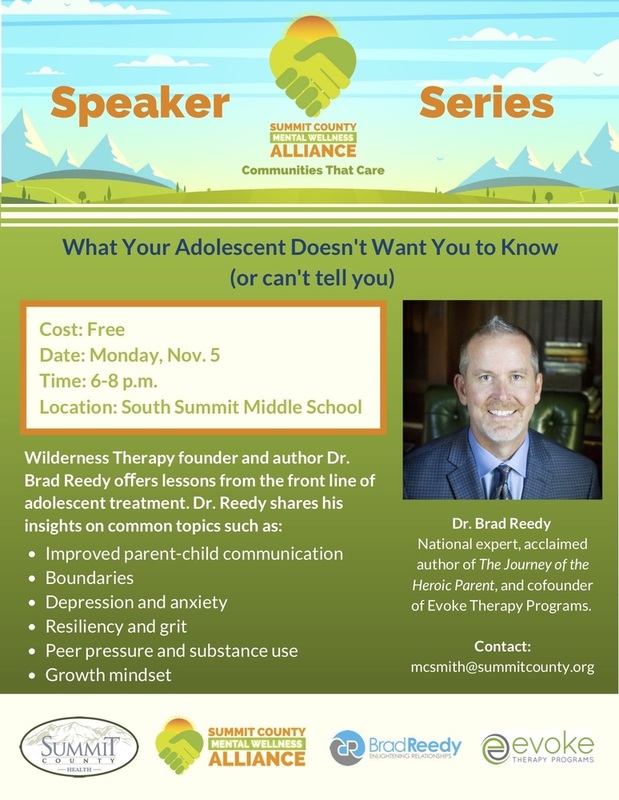 Join the Summit County Wellness Alliance for an informative night with Dr. Brad Reedy. This is a great opportunity to learn how to improve communication between parents and teens. Dr. Reedy will also share other helpful insights about boundaries, resilience, peer pressure and more. Don't miss out on this incredible, FREE resource: Monday, November 5th from 6-8 p.m. at the Middle School.